During the bronze age Grimspound ,made of granite blocks ,enclosed 24 hut circles, some of the oldest surviving buildings in Great Britain. 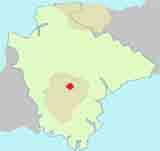 Dartmoor ,during the stone age,was mainly wooded . As it became more inhabited ,there were fewer resources to share; this led to deforestation and the rise of farmland. By the end of the stone age (during the Neolithic) some farmland saw stone enclosures. During the bronze age enclosures became more solid and hut circles started to appear,the ones on Grimspound being the most famous. Conan Doyle ,author of the Hounds of The Baskervilles,was fascinated by Grimspound. This enjoyable walk offers a true sense of space and timelessness. A It starts at Bennet's Cross named after a tin miner. 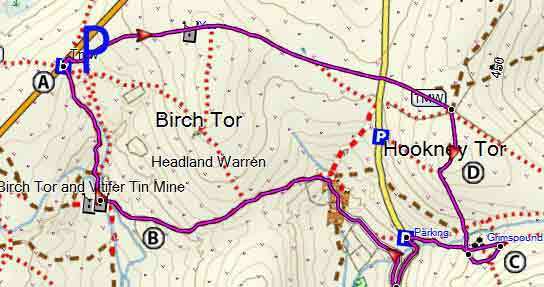 B Follow a public bridlepath past Vitifer and Birch Tor tin mines to Grimspound. C Grimspound:nothing much has changed since the early bronze age settlers grew their crops and herded their animals. D You return via to Hookney Tor following part of the Two Moors Way- for more information click here. The route includes 2 climbs. After returning to the Car Park you may want to visit the Warren House Inn for some refreshments - it's only a 11 minutes walk from the Car Park along the B3212 towards Princetown. A popular and varied forest walk with lots to see:bronze age stone & hut circles,a clapper bridge & Bellever Tor. 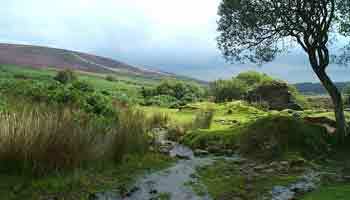 Moretonhamstead ,gateway to Dartmoor,is an ideal town for walkers to explore the lush edge of the moor. 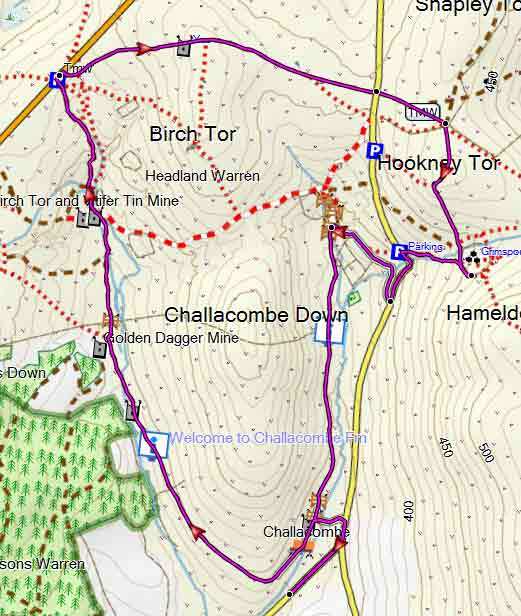 Two walks from Uncle Tom Cobley's village with extensive views exploring Tors ,gift and tea shops and perhaps a pub! 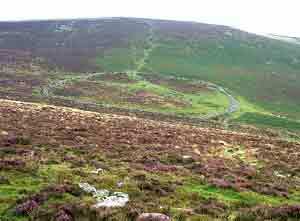 A longer & popular walk to Grimspound taking you back to the car park via Challacombe & the ruins of the Medieval village. PRINT YOUR OWN WALK IN DEVON!